Kassi Underwood was 19 and in a long distance relationship with who she thought was her soul mate, Will-B, when she found herself pregnant by another man. Well, "man" may not be the right word for the druggie, lost guy she had started sleeping with. Although being a mother was always her main game plan in life, she decided to abort the baby, as the time and situation were not ideal for raising a baby. What happened next can only be described as a downward spiral; an intense plummet to rock bottom. Finally, during an overseas trip, Kassi decided to get sober and start dealing with everything she had been through. Then, on the three year anniversary of her abortion, the father emailed her to tell her he was having a baby with another woman - and the name they chose for their daughter was Jade, which is the name Kassi has always dreamed of her first daughter having. 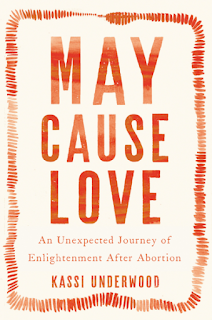 Kassi became slightly obsessed with the new Jade, and finally, six years after her abortion, she began a journey of healing that took her to different places - a Catholic retreat, a Buddhist, a weekend of silence, conversations with several woman across the country - and while the pain will never go away, Kassi at least ended the book with a feeling of hope. Do you ever feel like you were meant to see something, read something, hear something? I feel like this book came into my life for a reason. While I did not abort a baby, I misacarried eight years ago. I've struggled with this for eight years now - constantly asking myself why it still affects me, after this long, when I was only pregnant for eight weeks. But so much of what Kassi said rang true to me - and even though our stories are very different, so much of the pain, mourning and regrets are the same for anyone who gets pregnant, but doesn't get to raise a child. At one point in the book, while Kassi is going on her healing journey, she is told that she will always be a mother because at one point there was a life inside of her. I like the thought of that. I have been a different person since that lunch break when I ran home to take a pregnancy test - and it's because that day I became a mother. Even though I am not having kids and I will not become pregnant again, no one can take that title away from me. 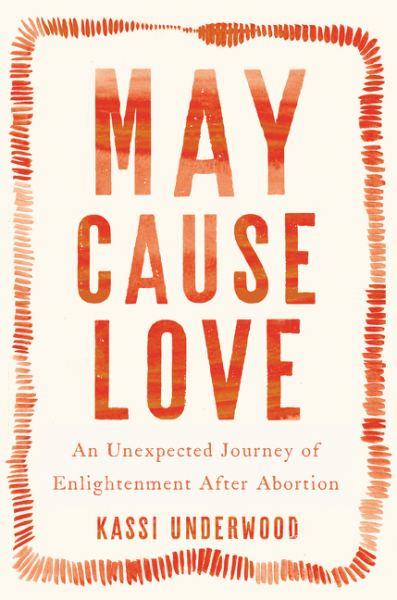 I highly recommend anyone who chose abortion to read this book, but also anyone who has suffered from a miscarriage. Also, anyone who has strong opinions on abortion, in either regard. You may be surprised by what you read. It is so true that once you have become pregnant you also become a mom, regardless of what happens afterward. And it is a hard thing to deal with when you don't get to raise that child. I know that feeling. What's not working in my life? What's working in my life?